Polyfoam Washable Air Filter Media offers a re usable and resilient solution for the filtration of coarse to medium size particulates in air. 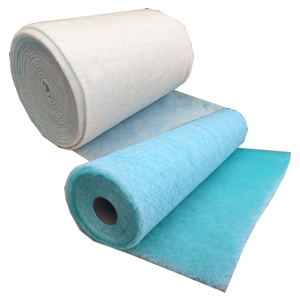 Polyurethane Air Filter Foam is made up of a micro porous structure, allowing it to capture particulates of varying sizes through a range of efficiencies. 20ppi polyfoam washable filter media will provide adequate protection to computing components from general household dust or is often used to protect air conditioning chillers. Towards the other end of the grading range, 45ppi polyfoam media has the capacity to catch smaller particulate matter and is often compared to G4 filters in the EN779 grading system, and is used where there is a requirement for a higher quality or air. 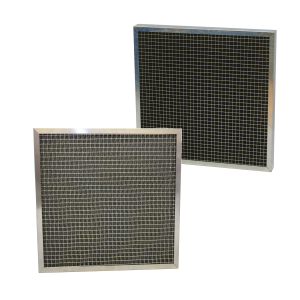 When selecting an air filter grade, resistance to airflow should always be carefully considered to ensure the desired flow rate through the filter media is achieved. Low grade polyfoam materials such as 20 and 30 PPI offer a low resistance allowing for maximum airflow through the filter, whereas 45 and 60 PPI have a significantly higher pressure drops and need a more powerful fan to maintain good airflow through the filter.